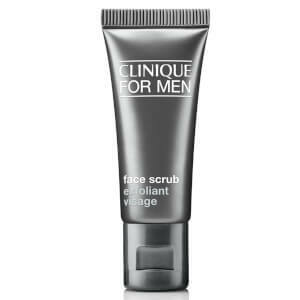 Designed specifically for men, the Clinique Face Wash is suitable for all skin types and works to gently but deeply cleanse the skin. Designed to hydrate whilst removing excess oils and dirt, this face wash is also great for adding a soft texture to beards. A must have addition to your cosmetic regime. K.D. Apply to wet skin and rub in circular motions. Rinse thoroughly and dry with a towel.